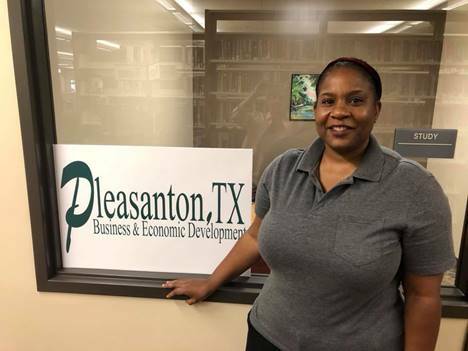 (Pleasanton, TX – May 21, 2018) The City of Pleasanton is pleased to announce that two local business owners have begun the mentoring process as part of the city’s new Business Start-up Assistance Program last week. The program was launched on May 16, 2018. 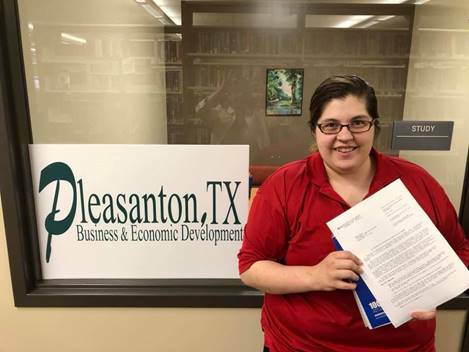 Pleasanton residents Elizabeth Benavides and Jessica Chiverton formerly registered their businesses through the IRS and will continue their registration process through the Texas Secretary of State’s Office and Texas Comptroller’s Office. The city’s new business & economic development consultant, Janice M. Gonzalez of EMC Strategy Group, LLC, will provide the business mentoring services to Pleasanton residents as part of the new Business Start-up Services Program. “I am really excited that our consultant registered two businesses on the first day of our new program,” says Johnny Huizar, Pleasanton City Manager. “This new program is going to help support our residents chase their dreams of becoming business owners,” adds Huizar. The city’s new assistance program will provide aspiring entrepreneurs one-on-one business mentoring and complete business start-up services to any resident of the City of Pleasanton. Services will be offered through a scheduled consultation appointment at the Pleasanton Public Library every Wednesday and Friday. New business start-up services will include: registration through the Internal Revenue Service, Texas Secretary of State, Texas Comptroller’s Office, Systems for Award Management (SAM), and Dun & Bradstreet DUNS Number, which are all required when seeking local, state, and federal procurement opportunities. The mentoring services will also include: business plan development, budget and finance, marketing and branding, and assistance in seeking business capital. For more information and to schedule an appointment for start-up services, please contact janice.gonzalez@emcstrategygroup.com.